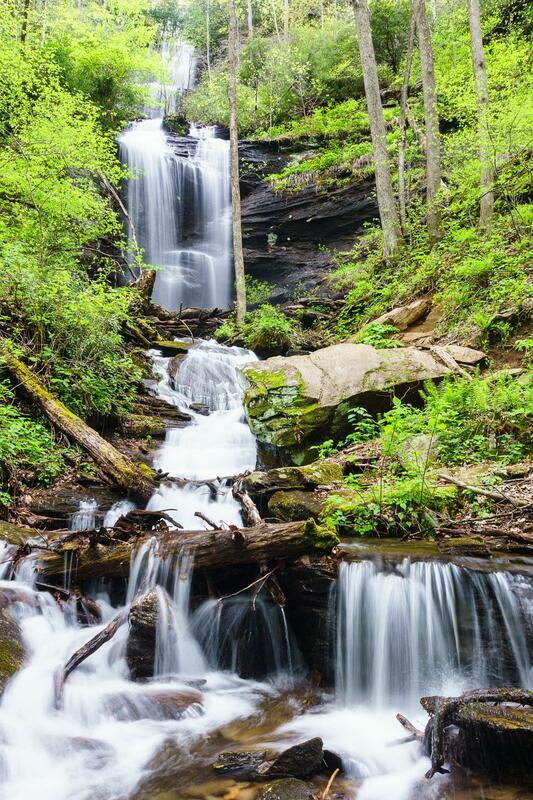 A tall waterfall, this one begins as a series of drops and free-falls interrupted by a small ledge, which then leads into a series of smaller chutes and cascades as it descends toward the trail. Tall trees surround the falls and rhododendron cover the bank starting about halfway up. Spring wildflowers abound. A beautiful and highly recommended waterfall. Height: 60 - 80 ft.